As a Syracuse native and Central Square High School graduate, Brady grew up a bleeding orange. Inspired by his grandfather’s service as a Marine and excited at the prospect of traveling the world while defending his country, Brady joined the Navy after high school. He served five years and was deployed twice to the Middle East. 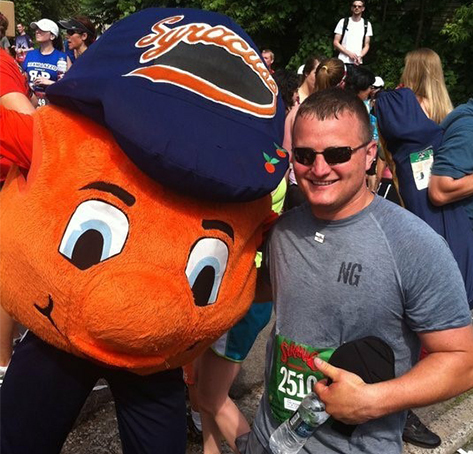 After getting out, Brady completed a transition program in Connecticut during which he heard about the programs offered through Syracuse’s Institute for Veterans and Military Families. After doing more research, he decided to pursue his degree at the University. Nick Prietti grew up in Syracuse and enlisted in the U.S. Army after graduating from Corcoran High School. The first in his family to serve, Nick went through basic training at Fort Polk before deploying to Iraq. After four years of active duty, he returned to Syracuse to pursue a civilian career and he joined the National Guard to continue serving. He received his Associates before being activated and deployed to Afghanistan as a guardsman. He retired from the Guard after 15 years and now works as a U.S. Postal carrier. 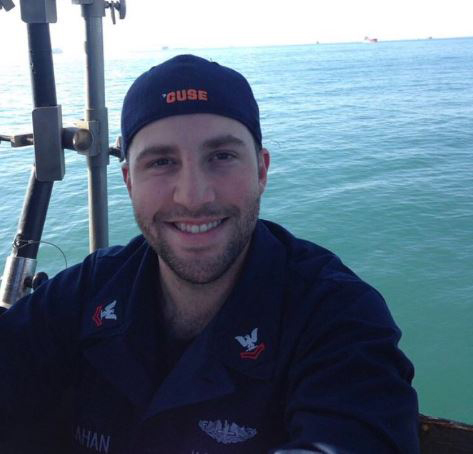 In 2003, Nick was stationed in Kuwait but still witnessed Syracuse make the Final 4. He had to depart on a convoy mission through Iraq and he didn’t find out until a month later that SU won the National Championship! But that’s not where his love of Syracuse began. Nick received his associate’s degree from Onondaga Community College and completed his bachelor’s degree at SUNY Delhi. His brother and sister have both graduated from Syracuse University.